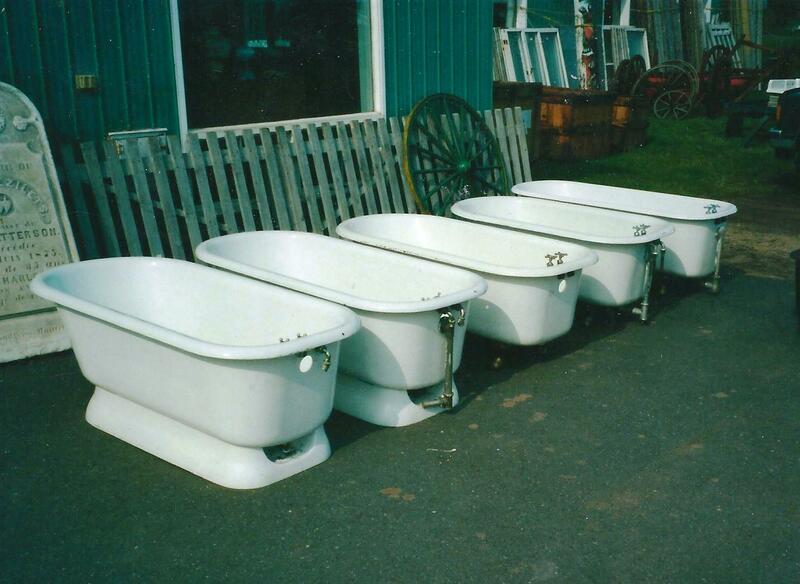 In an earlier post I talk about our bi-weekly trips to the Victoriaville region of Quebec where we would buy a truckload of antiques in the rough over a two or three day period and then race home to sell the stuff the following Sunday at the Harbourfront Antique Market in Toronto. We did this regularly for a ten year period starting in the mid 80’s. We very soon got to know and like the people we dealt with there, and early on gained their respect by never going to the Tuesday night auction in St. Hyacinth and bidding against them. They would ask if we were going and we would always say that “no this is your territory, and we are happy to buy the stuff from you tomorrow.” The fact is they were fair with their mark ups, and if you did attend they would do their best to dissuade you from ever coming back by continuing to bid you up until you paid way too much for any item you bid on. This policy and the fact that we would always negotiate by simply asking what the best they could do on a piece assured that they considered us “a class act” as they would say, and probably saved us a lot of money in the long run. We regularly arrived on Tuesday afternoon about 3 p.m, having left home at 4 am to get us past Toronto before the rush hour, and giving us enough time on arrival to have a look around before hitting the sack at the nearby motel. Then we would be up and at em’ by 8 a.m. because that was typically when a “pick” would take place at one or the other antique centers. By 7 am everyone would gather outside the entrance to the warehouse where beforehand the staff would set out all the newly arrived, unseen items in neat rows. Not only the things purchased at the auction, but also items brought in by pickers who independently picked the country side for the Antique Centers. It was always exciting to see what had arrived. Nothing had prices. Us buyers would circulate around sipping coffee and deciding what we would attempt to buy, and figuring out how much we could spend for it. Lots of private negotiations would be quietly going on. “O.K. I’m only after the clock shelf so let me get that and you can have the bucket bench” . Kind of like the nonsense that goes on before an auction. The way it worked, and probably still does for that matter, is that at 8 am everyone would pick a number out of a hat. Enough numbers in the hat to cover everyone in attendance. Then whoever had lucky number one would go around with the seller and would have three chances to pick one item. This was done very quietly so no one else could hear. If you loved a wall shelf, but the price was too high for you, you could move on to your second choice, and if there was no deal there, you could move on to your third item. Buy it or not, it was then number two’s turn, etc. So considering that 90% of the stock was quite ordinary, it was important to get a good number or you didn’t stand a chance at getting one of the typically five or six things that were truly special and sought after. It worked well for the seller because if an item had been rejected a few times he could lower the price a little and see if that worked. It was tougher on the buyer because you knew if you didn’t go for the price, the guy behind you probably would. There was ways quite a bit of tension in the air. I would always pick a number even if there was nothing that I was particularly interested in because if you drew a good number (especially number one) there was a good chance that someone was mosey quietly up to you and offer to buy it from you. This happened to me a couple of times actually. Typically the offer was a hundred bucks. So you made sure that you looked interested, and held your cards close to your chest. After the best items were taken, everyone would disperse, breaking off into small groups where discussions of possible resale would take place. The seller would go around with a chalk and price the remaining items and the staff would start to bring them inside to be added to the stock there. It was a fine way to begin a day of antique buying. part of Leveque’s yard showing his workshop at right. 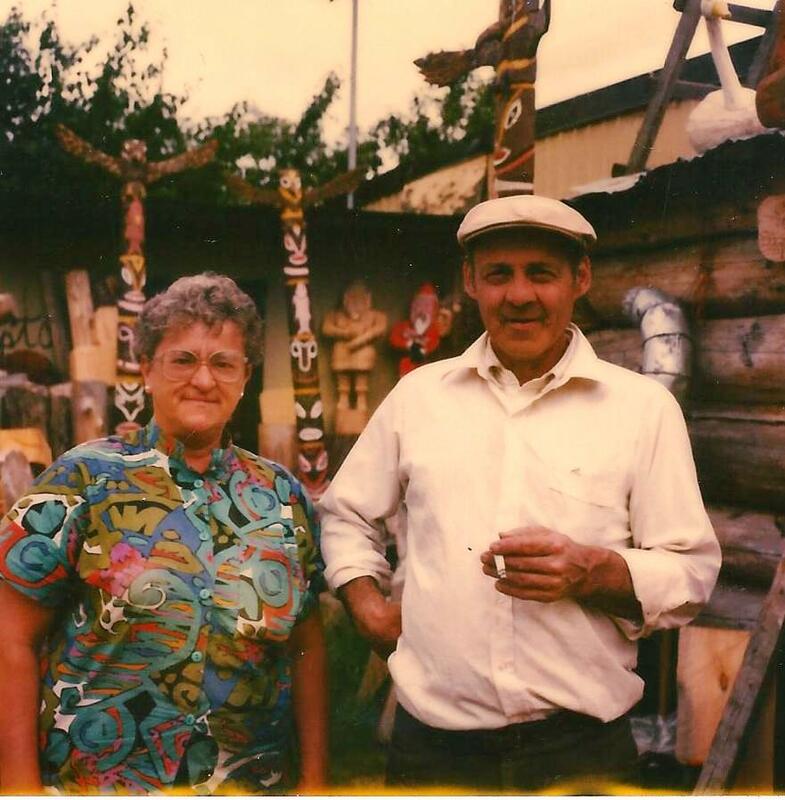 In the early nineties as a result of doing many shows in Quebec, we got chummy with Riviere de Loup dealers Bertrand and Joanne Gaudreau. 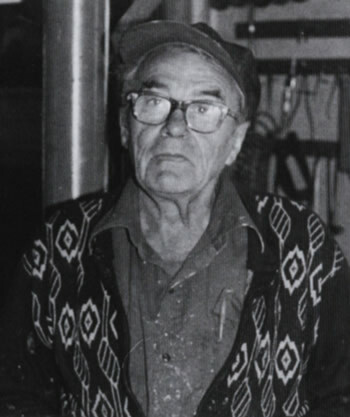 Bertrand worked cutting wood all winter, and in the summer they ran a wonderful shop in a big red barn situated next to the La Malbaie/ Riviere de Loup ferry terminal on the St. Lawrence river. Perhaps it’s still there. It’s been years since we were up that way. They always had interesting things and good prices so one summer trip, (I think it was 1993) we took them up on their offer to come visit them when we were out their way. They knew of our passion for folk art , and were generous enough people to tell us where several of our favorite artists around that area lived. This is rare among dealers as most are determined to guard their sources, but the Gaudreaus realized we were a long way from home and would not be passing by very often, and they were all too happy to help us. After going through their barn and buying a dozen or so great things we went off not far down the highway to where Felicien Levesque lived. He had always been one of our favorites for his whimsical, “outsider” style and we were delighted at the prospect of meeting him. 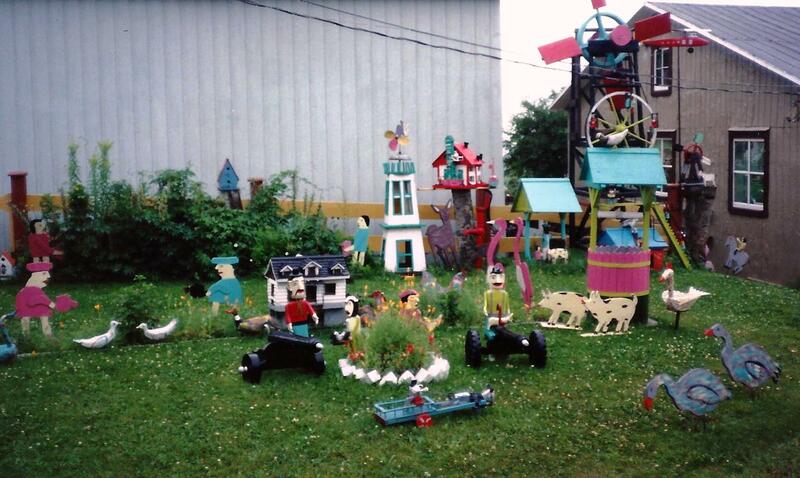 When we pulled in to the yard covered with folk art we knew we had found the place. It was a classic old wooden Quebec house with a big porch and there was an impressively large workshop in the back. We pulled in and after taking the above shot we marched up to the back door and knocked. After several moments, a middle aged woman opened the door a crack, and directly asked us what our business was there. We replied in French that we understood that this was the home of Felicien Levesque, and that we were folk art collector/dealers from Ontario who wished to make Mr. Levesque’s acquaintance, and possibly buy some folk art. ” Oh no, I’m sorry, Mr Levesque sees no one and none of the folk art is for sale. Thank you. Goodbye”. Slam. We looked at the closed door for a moment considering if there was any point in knocking again and trying to persuade her, but it was pretty obvious we were not going to be received so we left and went to have lunch with Bertrand and Joanne in their beautiful home down the road. When we arrived with Bertrand, and after a short explanation, he left and we were immediately invited in and brought into a classic old Quebec kitchen. Walls and ceiling completely paneled in white tongue and groove pine, chairs and buffets along the walls, big harvest table in the middle of the room, and a single bare bulb hanging down over the table. Around the edge of the room sat Madame Levesque, their daughter, her husband, and their two kids. They all sat quietly at first and looked on as we answered numerous questions from Mr. Levesque’s daughter about where we lived, what it was like there, what type of house we had, what is Toronto like, etc. It felt like we were on display as exotic curiosities, and soon everyone joined in asking us everything about our life in far off Ontario. We were told that Felicien always took a nap after lunch and would join us shortly. Sure enough after about twenty minutes he appeared rubbing his eyes and looking curiously at the new arrivals. It didn’t take him long to get up to speed and he proved to be very friendly and outspoken, telling us a quick version of the story of his life, how he had one of the finest workshops in the region, and how he had just recently sold his work to the Quebec Museum and that they were mounting a show of his work. He was very proud of the recognition and we could see it meant a lot to him. So over a cup of coffee the time passed pleasantly and we eventually explained that being big fans of his work, we would love to see his workshop and any work that he could show us; and that if it were possible we would love to be able to purchase something from him. Hi daughter jumped in “Oh nothing is for sale, as I told you”. Followed immediately by Felicien saying “Don’t listen to her It’s my work and I am the one who decides”. A cold stare, an awkward moment, and we were off to the workshop. For someone who made such crazy things, he had an amazingly organized and well equipped workshop. We noticed several pieces about in various stages of completion, and after more talk about his technique and approach, he lead us off to his storage room. 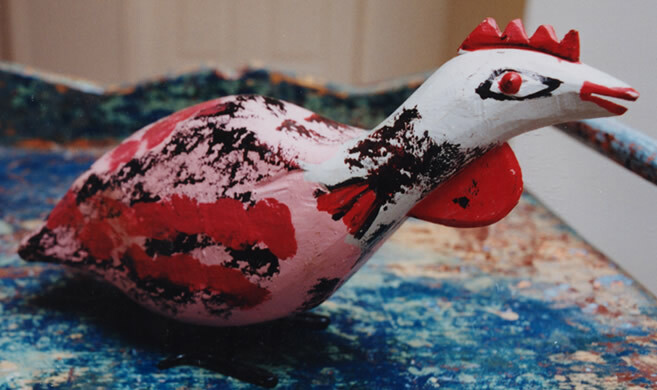 Arguably , the public became aware and interested in Canadian contemporary folk art with the publication of the Museum of Man book “From the Heart” in 1983. 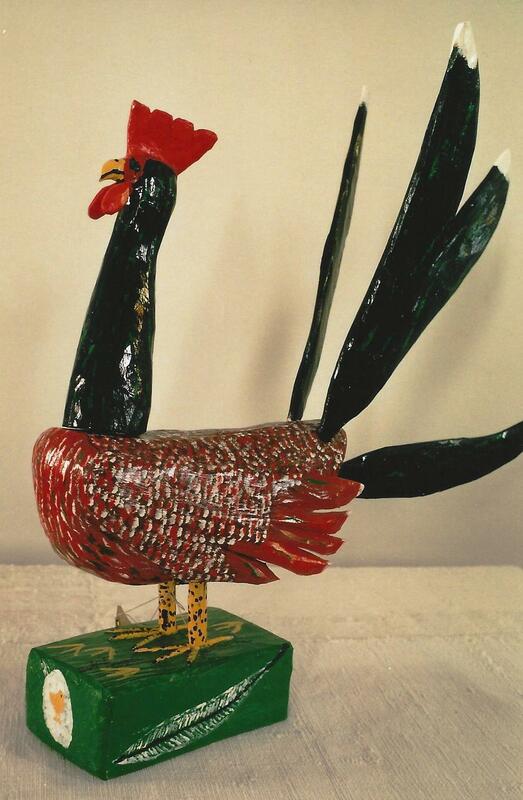 Since that time as is the case with popular culture, the interest in folk art has waxed and waned. I have experienced many such reversals in the thirty plus years I have been collecting and selling. Things were good in the mid 1990’s. It was a time when we would take a dozen newly discovered Barbara Clark Fleming paintings to the Muskoka show and sell them all within the first hour, leaving us wishing we had brought a dozen more. 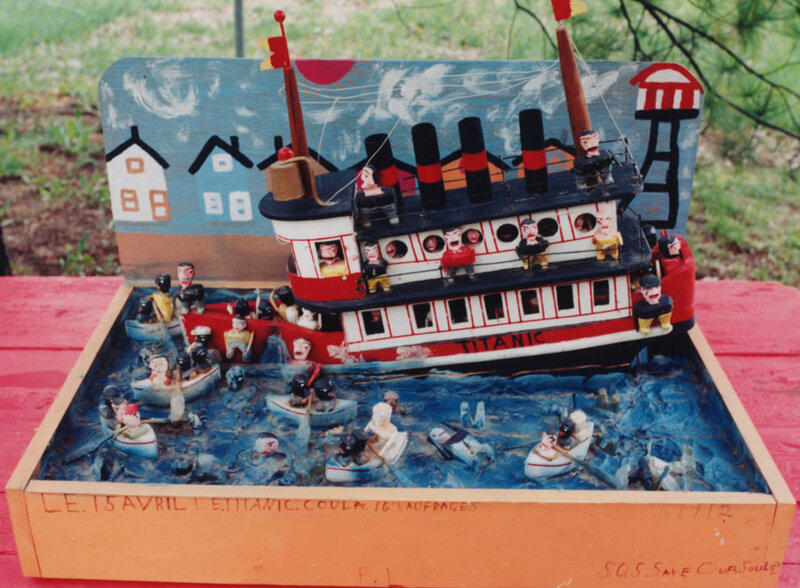 Meanwhile Bernard Riordin, as Director of the Nova Scotia Art Gallery was pushing hard to have the Maritime folk art scene recognized, and established as the important cultural property which it is. There was a lot of media attention. New collectors were becoming passionate. Those were heady times. 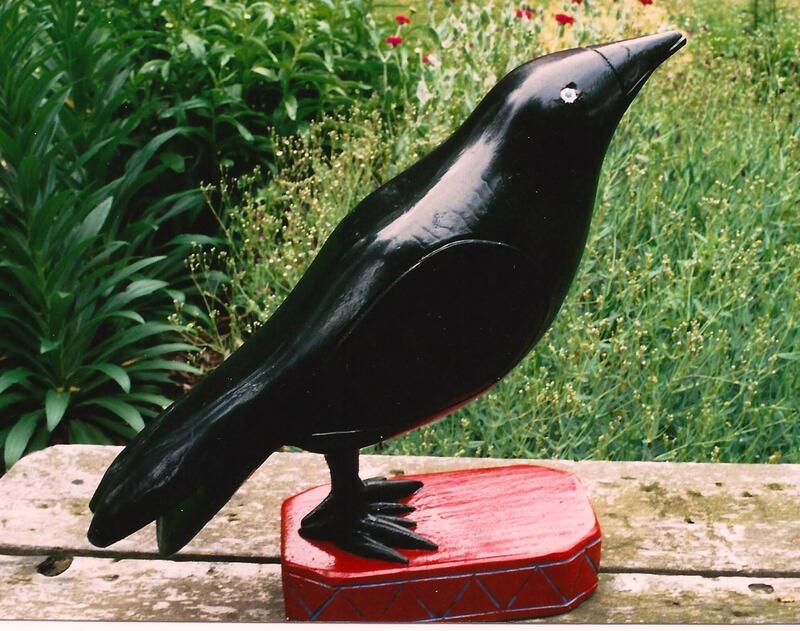 It came to pass that in 1996 a creative, and forward thinking Toronto woman of some position, thought it was the perfect time to open an upscale contemporary folk art gallery in the posh Hazelton Lanes shopping district in Toronto. 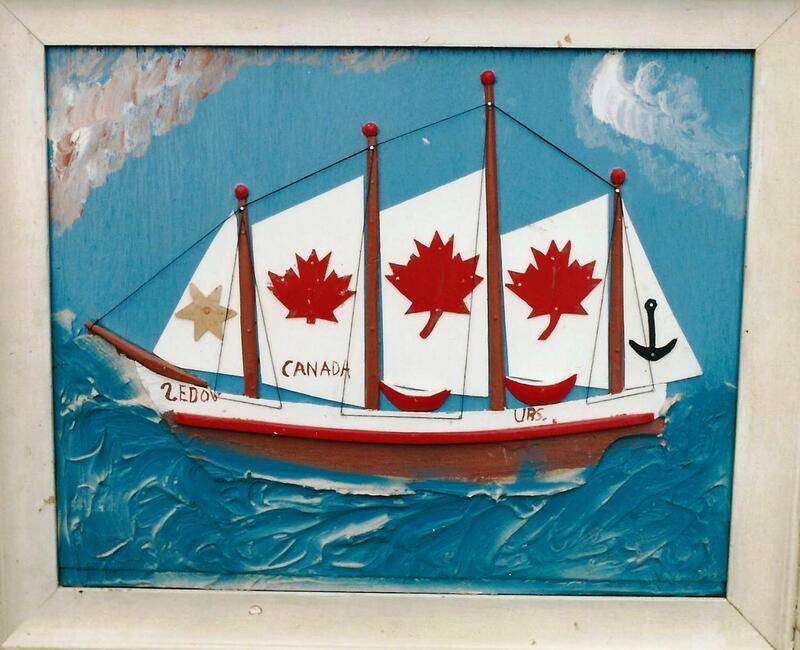 So she took a boat load of money down to Nova Scotia, had a ball, and made a lot of folk artists very happy by buying up their work, and arranging to have it shipped to Toronto. 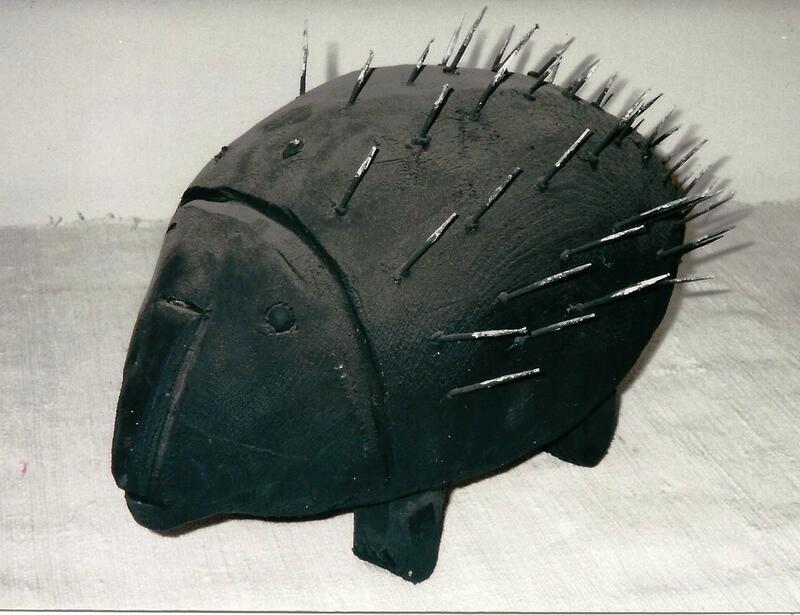 The name of the gallery was “Turtle Cove” and it occupied a large, second floor space in the Hazelton Lanes Complex. It was a first rate effort. Upscale fittings, museum lighting, beautifully created vignettes; the whole nine yards. You’ve got to love people who follow their heart, and realize their dream so completely. Unfortunately, unlike the concept “if you build it, they will come” presented in the popular movie “Field of Dreams”, things don’t always work out that way in real life. I think it took only a month or two before our brave entrepreneur realized that her sales projections had been highly over optimistic, and she decided to cut her loses and get out. That’s when I got the call. 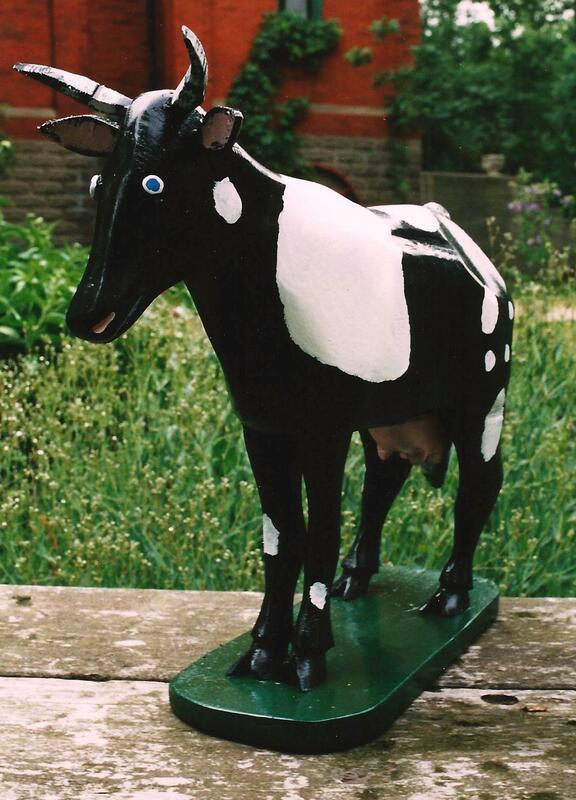 At the time, and to this day my main interest lies in older folk art, or at least shall I say in folk art that was not made so clearly with an eye to the market. But then again I am all for contemporary artists making a living, and I admire the work of many contemporary Maritime artists such as Eddie Mandaggio, the Naugler Brothers, Garnet McPhail, etc. who were all well represented here. Also to be frank, the price she quoted was interesting, so I made the trip to Toronto. Immediately upon entering the gallery I felt sorry to think that such a wonderful effort, so carefully and lovingly realized, had been unable to sustain, and that even before many had learned of it’s existence, it would be taken apart and dispersed as if it had never happened. Ah well, we all know how tough it is to make a go of it in retail, especially when it is a limited market, and the overheads must have been (I can only imagine) astronomical. It was an easy negotiation I did not argue with the proprietor’s suggestion that I pay her half of what she paid the artists. She kept good books. There was a huge amount of stuff, including hundreds of smaller pieces which I recognized would sell easily. Of a bit more concern was the number of big pieces such as the Pegasus with Rider by Leo Naugler pictured here; and most interestingly, but also representing the biggest unknown was some rare original furniture made by Leo and Bradford Naugler. I don’t know if she inspired or commissioned these pieces but they struck me as being important and rare, although not necessarily easy to sell. Among these pieces I think the best is an iconic “hockey chair” by Bradford Naugler. 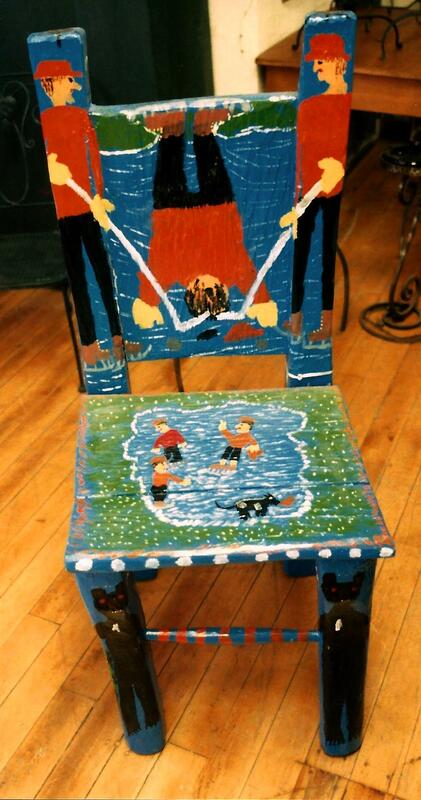 It is interesting to note that reportedly Bernard Riordin has recently proclaimed Bradford Naugler “the most important living Nova Scotia folk artist”, and that this chair has again recently sold to a keen Nova Scotia collector for several thousands of dollars. It is complex, and worth considering how occasionally a particular object made by an artist is chosen by an expert as an iconic example of his or her work , and representative of a time and place; thus becoming cherished and immortalized. People who understand this process sometimes become curators, and thus proponents of respecting and supporting our cultural heritage. It’s important work. It’s not always easy to understand. It took me three full pick up truck loads to clear everything out. As always, I was filled with concern verging on regret when signing the big cheque, and thus taking on the responsibility of relocating such a vast amount of contemporary folk art to new homes. Happily, because of the heated market at the time, it all disappeared quite quickly, and it worked out beautifully. We still enjoy a couple of pieces which we put aside at the time, and it’s satisfying to think I was able to take all that work and find good homes for it. Also it feels good that the vision and enterprise of a folk art lover who “put her money where her heart is” was not in the end, in vain. 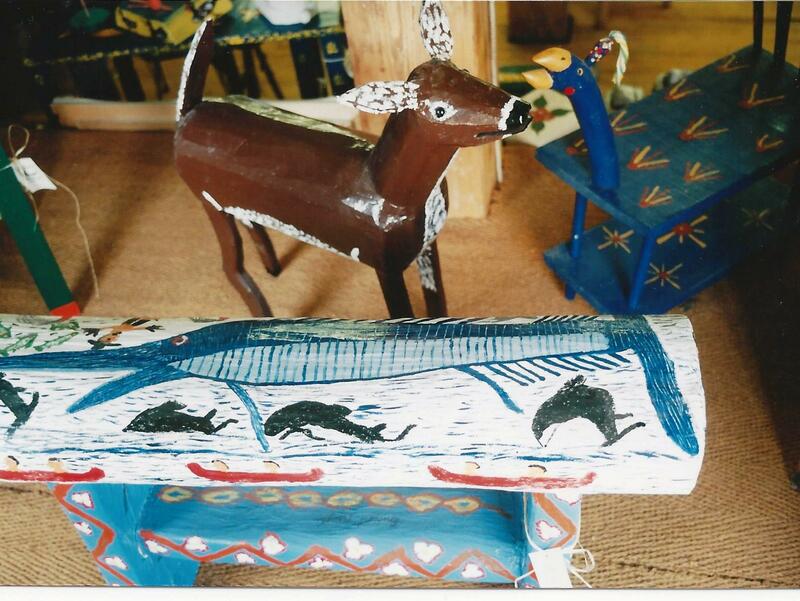 By the mid 1980’s along with our antique business, we supplemented our income by setting up a mail order business selling the carvings of Pierre and Claire Trudel, who we discovered had a workshop of about a dozen talented woodworkers making several lines of reproduction antique furniture, as well as copies of various decoys, and other Quebec folk art. An average duck decoy would sell unfinished for about $15, and we would sell them finished for about $45. This commercial operation also carried a cigar store Indian which I knew was carved by a nearby artist. I would come by every other week and buy about 50 or so carvings, including 4 or 5 Indians. One day when I arrived Pierre said, “well I’m just going now to pick up the Indians, would you like to come along.” “Well, of course I would”, and so off we went a few kilometers away to a town called St Eulalie (you gotta love those Quebec saints). We pulled in to a modest house and workshop along the river at the edge of town. 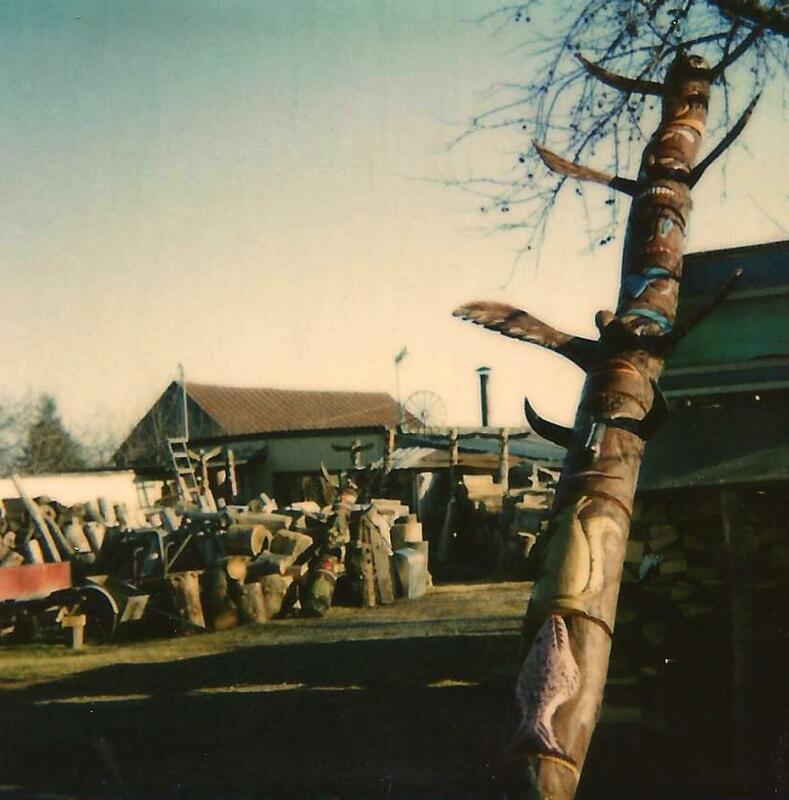 I could tell by the many totems, and stacks of wood that this was the place. Roger was a jolly fellow who immediately launched into a funny story in a thick Patois. I couldn’t understand a word, but I could tell it was funny because both he and Pierre were laughing so hard. I joined in. We had a great time. I couldn’t help but notice that Roger was standing ankle deep in wood chips, and lighting a hand rolled cigarette with one hand, hot ashes falling to the ground. I also noted that Roger carved a lot more than cigar store Indians. 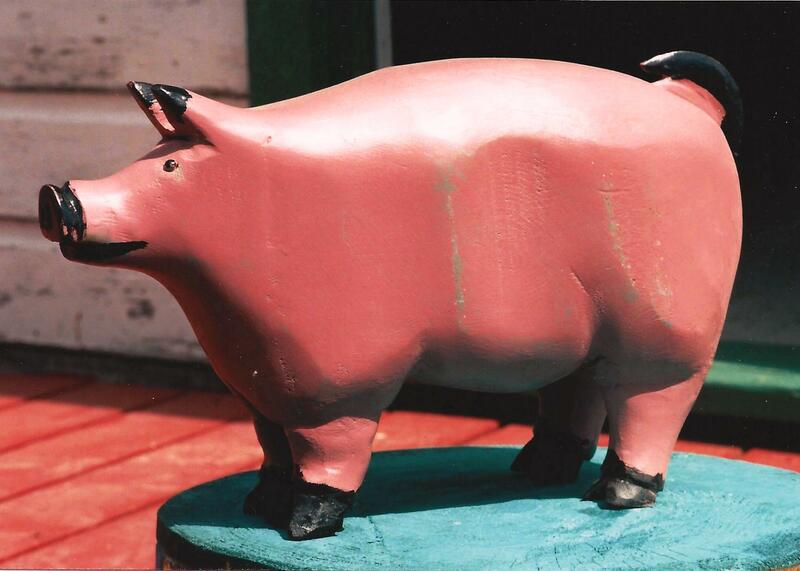 Cows, pigs, bears,fish, beavers, frogs, etc. They all had humor and a wonderful original style. I was buying enough from Pierre that he didn’t mind me buying some of Roger’s carvings, which I did happily that day, and every trip I made thereafter. One day I arrived to find the entire yard covered with dinosaurs. Apparently Roger had watched Jurassic Park with his grandchildren and was inspired. Another time I was greeted by a giant mother giraffe, with a feeding baby underneath. The mother was too big for my truck but the baby came home with me. Roger and his wife were always extremely welcoming and quick with the funny story, and I always enjoyed the exchange, although I have to admit that in spite of my reasonable abilities in French, I never got more than about 20% of what he was telling me. It didn’t matter. We always had a wonderful time. 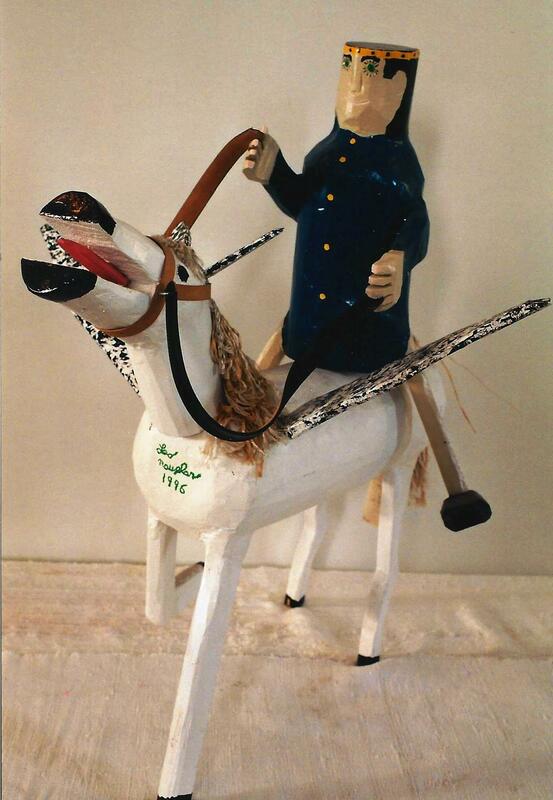 I did come to find out that he is of Mi’kmaq heritage, and that he loves to fish and hunt with bow and arrow, and that he is a warm and loving husband, father and grandfather, who has a God given talent for making his own unique version of Quebec carving. He told me that when he was young he was taken on as an apprentice by a cigar store Indian maker, and that he had made hundreds, perhaps thousands over the fifty years or so that he was active By the late 1990’s he was doing less and less carving, and more and more fishing and hunting, and I had also quit making the trip so often. In 2005 I dropped in on the Raymond’s for old time’s sake and Madam Raymond said that Roger was down at the river fishing. 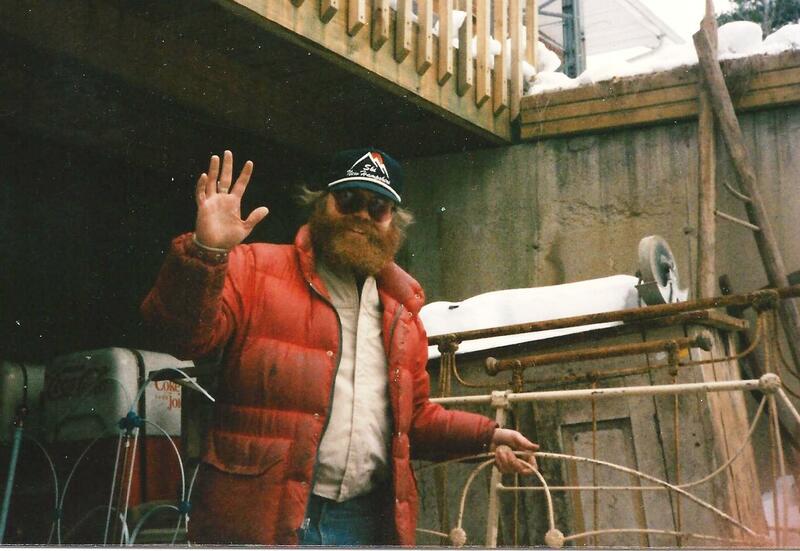 As I drove away from the house I saw Roger standing in the middle of the stream casting, and he turned and saw me, but as we were too far apart to have conversation over the babble of the water, we just waved at each other, and he gave me his winning smile, and that is how I remember him. As far as I know he’s still kicking.